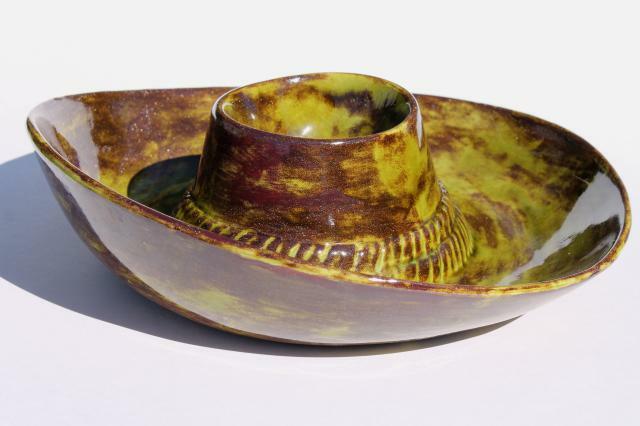 Retro 80s vintage handmade ceramic serving dish with south of the border style for your fiesta! 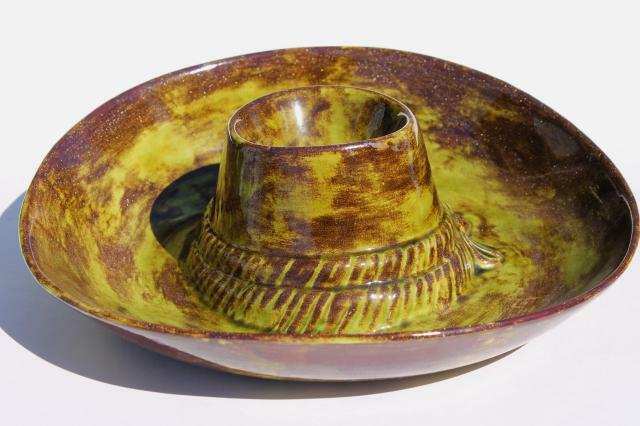 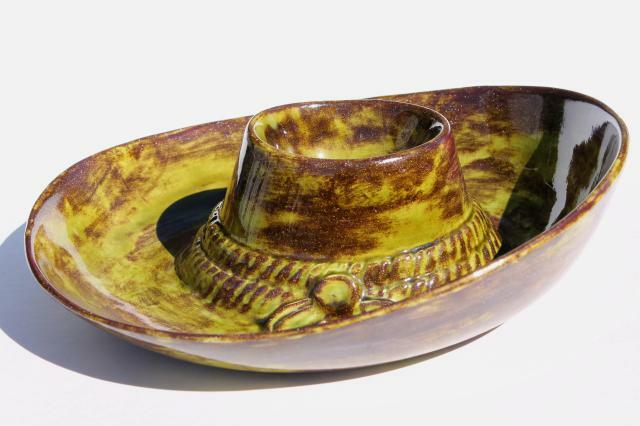 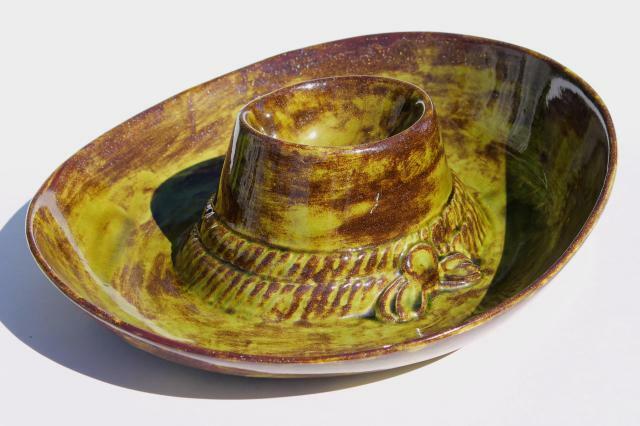 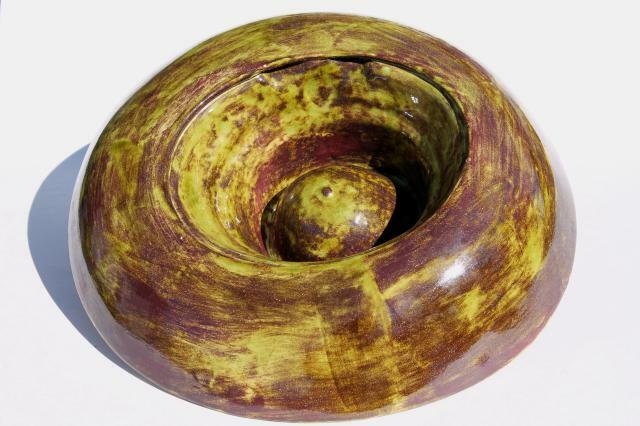 This hat shaped bowl is about 12 1/2" overall diameter, with a sparkly olive green glaze. 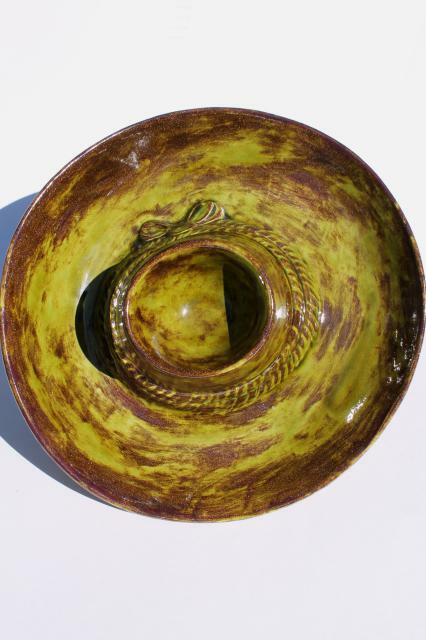 It's in excellent condition without damage, nice and clean - I don't believe this was ever used.